It's that time of year again where we are reminiscing about all the amazing real wedding and stylized shoot features that inspired us and you all to the core in 2016. And today, we're all about that cake, 'bout that cake! These deliciously gorgeous sweets have either been wildly popular on Pinterest or there was a loud buzz about them on social media. Covered in delicious sugary goodness, these designs take the cake (see what we did there?) when it comes to wedding inspiration that inspires within and beyond Hampton Roads. 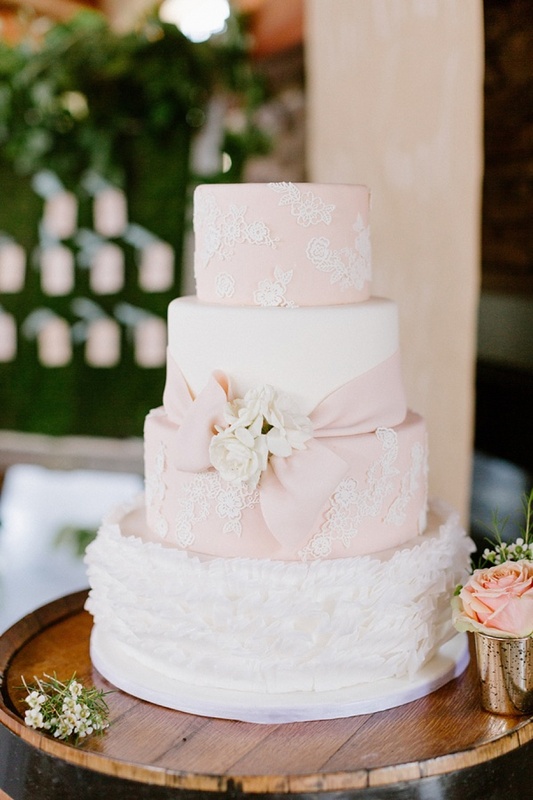 Tiers and ruffles, rustic and classic, detailed and simple, shimmery and lovely, these cakes are just downright steal-worthy for your own special day! So without further ado... the best of cakes from 2016! Move over every single groom's cake that was ever made. 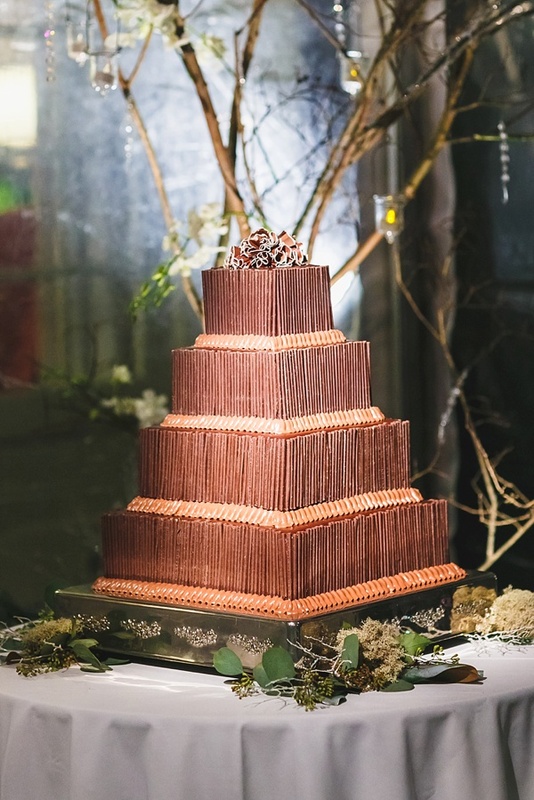 This one reigns supreme when it comes to traditional chocolate made in oh-so-handsome tiers and textures. A true work of art, this has all of us drooling. 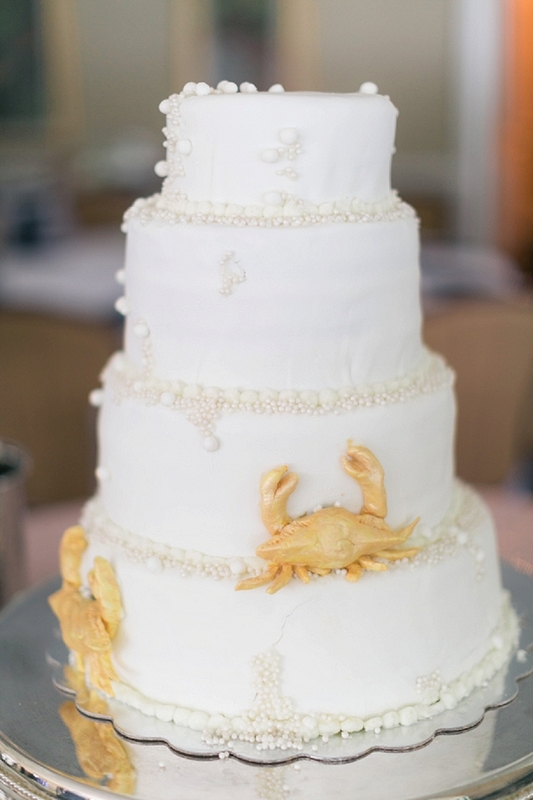 For all coastal lovers out there who want something different beyond the monkey knots and starfish, these sugar golden crabs are too cute swimming all over the cake amidst the sweet tiny pearls. Elegant and simple, this is perfect for any bayside wedding. 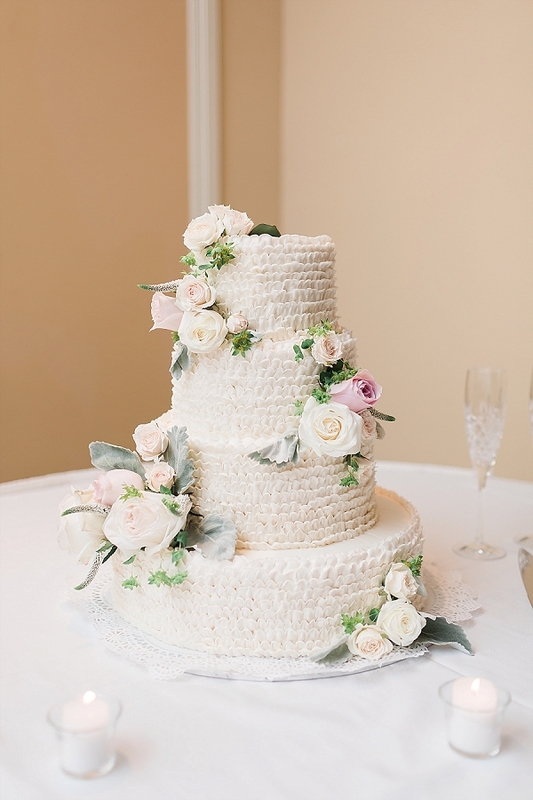 If naked cakes were 2015, then ruffled cakes were definitely 2016. Delicate waves of sugar give a soft and feminine appeal perfectly suited for a wedding day. By adding flat and diverse textures on each tier really helps bring the design to life. 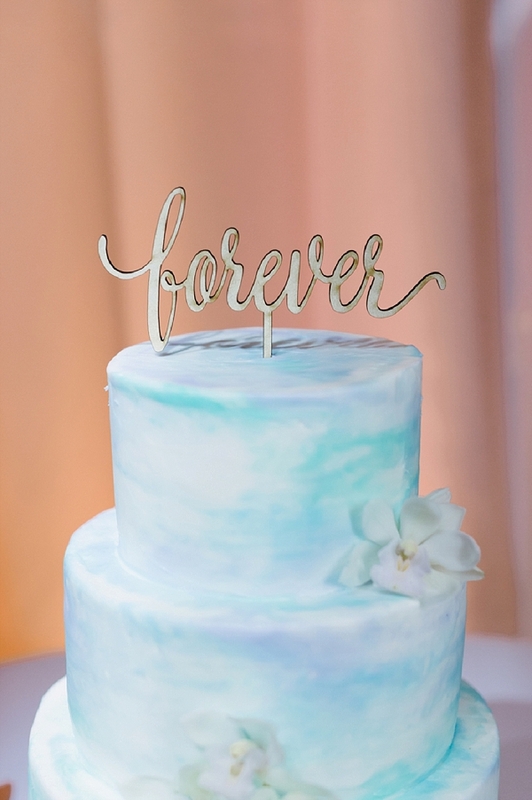 What seems to be channeling Monet and his famous French impressionistic paintings, this purple, blue, green blended cake adorned with orchids was a huge favorite because of its chic simplicity. Sometimes you just don't need that much to make a theme statement! Masterfully painted and perfectly executed, this cake hit the Internet ground running! We have seen multiple cakes floating around on Pinterest that were inspired by this modern beauty... and it's obvious why! With delicate piping of bohemian lace and gold flecks, everything about this is totally swoonable. We adore unexpected details! 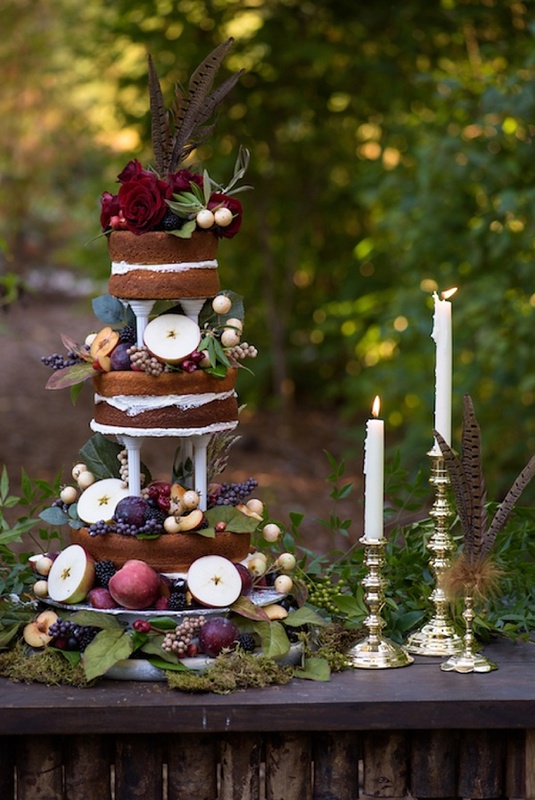 The very traditional cake columns that were popular in the 1980s surprised us in how gorgeously it transformed the popular naked cake trend, and lush fruits and flora only added to its perfection! Why not have more than one cake? That's the real question! This cake bar complemented all the beautiful elements of a garden wedding. 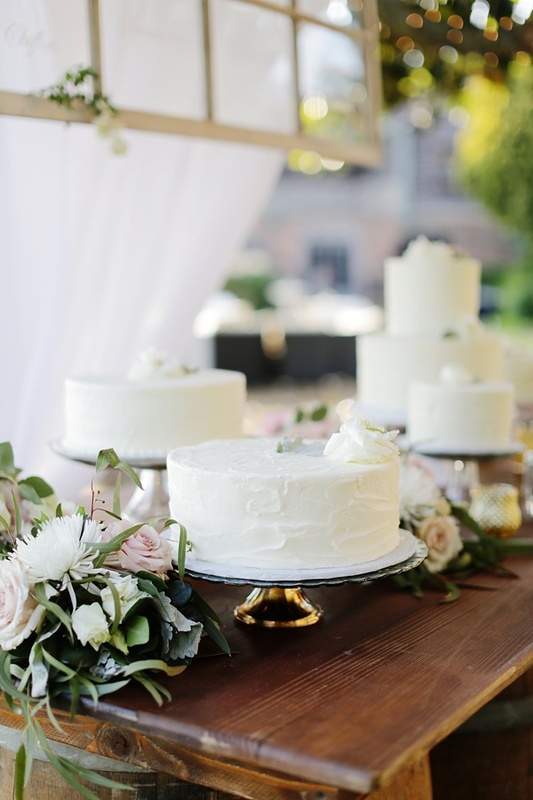 From florals to a minimalist approach to cake design, having sweets at different heights, shapes, and sizes is truly a wedding-awesome statement for your guests to experience. It's the best when couples aren't afraid of splashes of color when it comes to their wedding day themes! When it's the right design choice, it's simply magical! 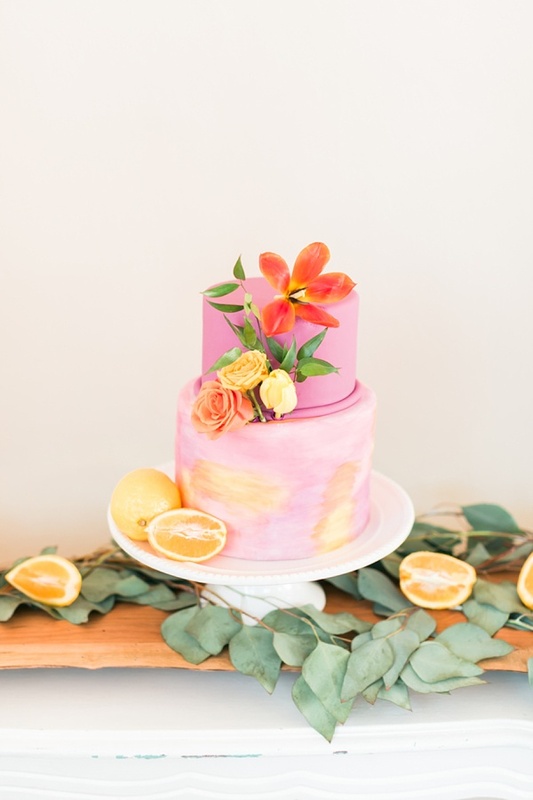 This citrusy cake with pink, yellow, and orange fondant makes a lovely setup when paired with the flowers and fruits that inspired the color palette. 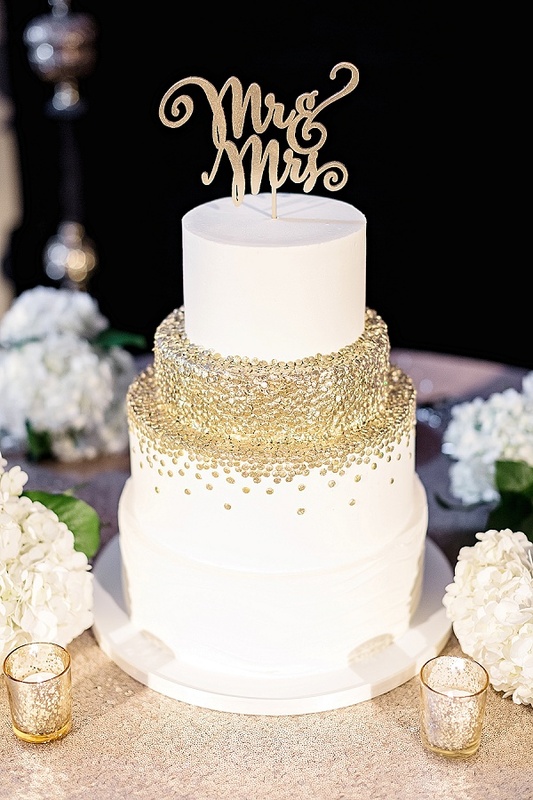 If there's one thing that makes the wedding world goes nuts, it's gold, gold, gold. 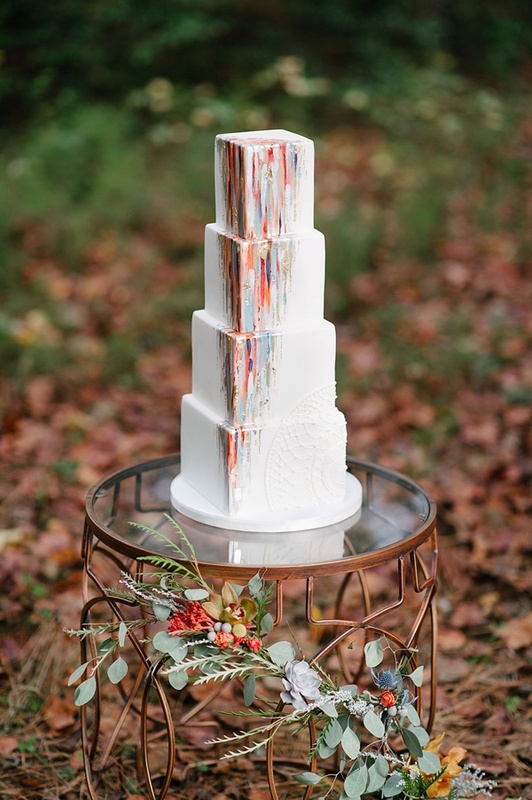 Confetti-dappled cakes were very on trend this year, and this one was no exception as it got a ton of love on Pinterest! Whether it's the "dripping" gold dots or the shade of warm golden shimmer, it's major big heart eyes for this sweetie! 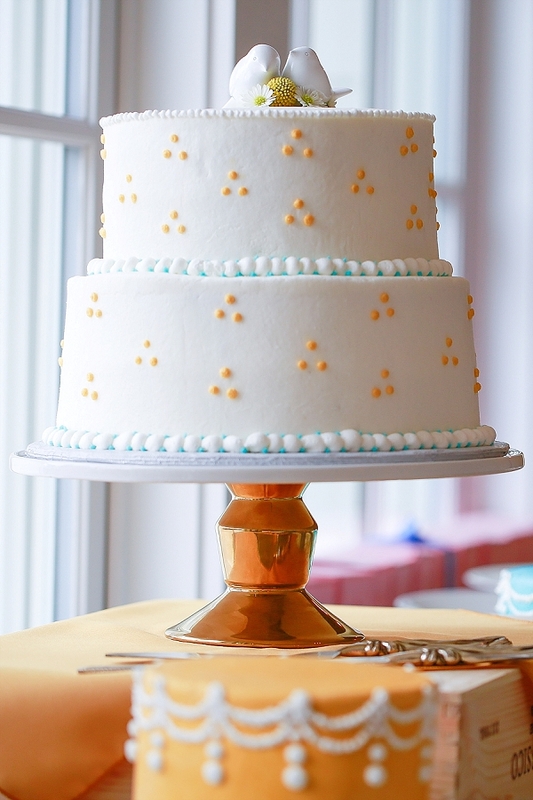 Inspired by Wes Anderson's directing aesthetic, this sweet cake of whimsy just makes us smile. Accompanied by architectural mini cakes, it's all good things for couples who love Anderson's quirky style and love for symmetry. Basically it is mega ruffles for days! Instead of the typical continuous fondant ruffle, these meticulous ruffles were piped on one at a time! The professional effort it took to transform blank cake tiers is breathtakingly worth it! The smaller they are, the more you can eat, right?! 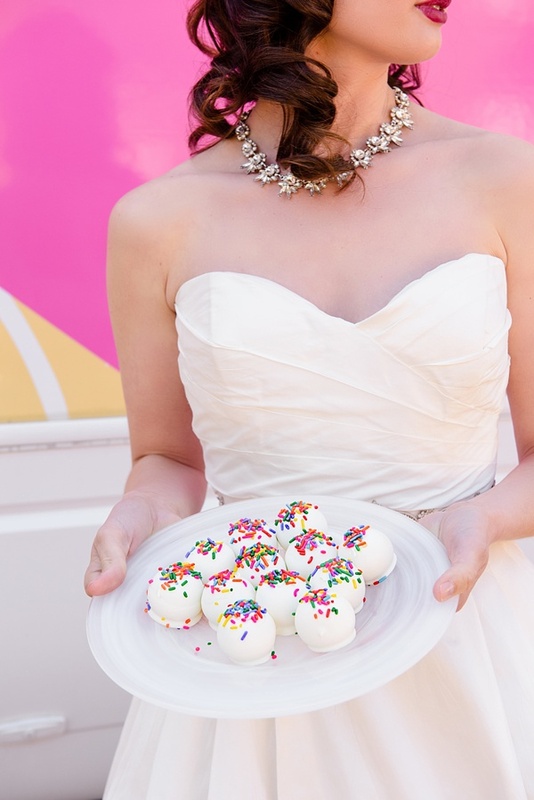 These playfully and vibrant cake truffles are perfect for any couple who wants to rock out color and energy for their special day. Whether you forego a tiered cake or add these little cuties to your dessert bar, they won't last long once those with sweet teeth spot these from across the room. Sprinkles are life! Stay tuned as we continue to share the rest of Best Of 2016!